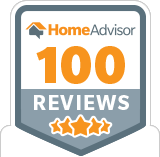 (Note: Reviews below compiled from an account we have with HomeAdvisor. We have many more since then and much more recent 187 actually : ) and elsewhere on Yelp, Thumbtack, Google. Brothers provided great service, making sure to provide protection of my belongings, and being on time to complete the job. We are pleased. Gary was quick to reply, and for minimal charge took large red stain out and sewed carpet tear. Awesome job and very professonal cleaning. The customer service and professionalism of this company was superb. I needed a project done right away. My carpet badly needs replaced (bad dog), but I needed to have a kids party in a few days. Very difficult project. The carpet was cleaned, but I don't think that it was cleaned any better than my Hoover cleaner could do it. It would have definately taken me 10 times as much time, though and that's worth a lot. There were some "dirty" stripes left which could have been taken care of with a little more overlap of the cleaner. To their benifit, I did not call them out to rectify the problem, but I'm quite sure they would have. It was great coming back later and seeing everything done. Friendly. Showed up on time. Got right to work. Charged extra to clean near walls. Left spots that I later easily removed. Still, the carpet was a mess when he got there and I give him credit for doing as good a job as he did. Gary was diligent with cleaning our carpets. Unlike a past company Gary moves furniture to clean underneath and places foam blocks or plastic to protect the wood legs of your furniture. Highly recommended.